Extreme Homeowner Makeovers – Fences! Wood fences can be a purposeful, and attractive addition to any home property. 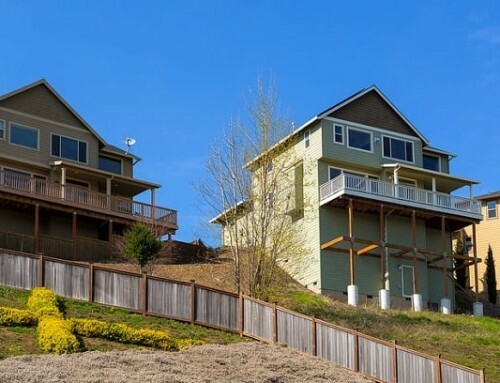 Yet when wooden fencing begins to suffer, and the appearance and condition begins to decline, fences can go from being a great home improvement to an unsightly eyesore. One easy way to give aging wooden fences an extreme makeover and regain their lost beauty is by having a professional fence company stain or paint them. With a fresh coat of stain or paint, even older fencing can have a fresh, new look and make any outdoor area look great again! Should A Fence Be Painted or Stained? Whether a fence is painted or stained depends on the desired look of the homeowner, and what has been done to it in the past. 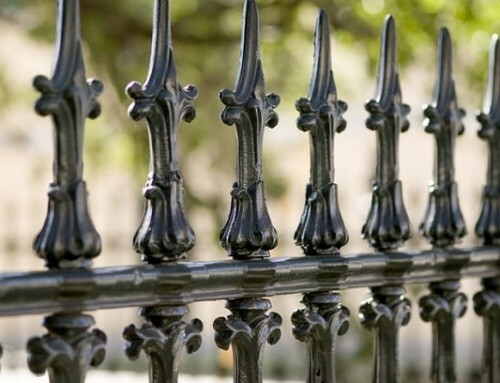 Fences that have been stained or weather treated in the past can be easily restained or painted. If a fence was previously painted, painting it again will be easiest, as staining requires removing all the old paint. Stain tends to look more natural on most types of wooden fences, but some styles, like board and picket fencing, look quite nice with a fresh coat of paint. What Type of Paint or Stain Should Be Used? Paint - Paint suitable for fencing is available in just about any color, and comes in either a glossy, semi-gloss or satin finish. Fence paint can also be purchased with UV protection and other weather protective features that help the finish last longer. Exterior wood paint is usually oil-based paint or latex. Latex is generally preferable since it allows the wood to breathe and release moisture, but oil-based may last longer. Stain - Fencing services maintain that staining fences is often easier and less time consuming than painting them. Stain is applied as a transparent or semi-transparent coating, although opaque stains now exist as well. Stain is also available in many tints that add some color to the appearance of a stained fence. Exterior wood stains are available in an oil or latex base. If a fence has been previously stained with an oil stain, oil should be used when restaining. Fence painting pros say that latex stains are often preferable because they are easier to apply and clean up. How Often Should Fences Be Painted or Stained? Professional fencing services explain that the frequency of painting or staining fences usually depends on the product used on the fence, how long it is supposed to last, and how it looks over time. Weather can affect how long paint and stain lasts, with rainy climates and those climates with extreme heat and sun experiencing the fastest degradation. Generally speaking, fences should be painted or re-stained every 2 to 4 years, but this will largely depend on weather conditions and how well the current finish is surviving. A good way to judge when it is time to paint or stain again is by observing whether water still beads on the surface, or if it soaks in. Both stain and paint create a waterproof layer on fences that prevents moisture from soaking in. If this layer is gone, or it has worn off to the point that water is being absorbed by the wood, it is time to paint or stain again. 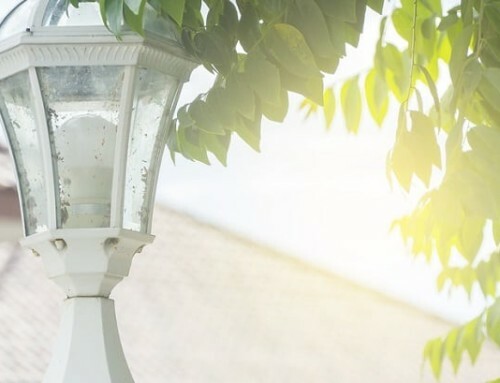 When fences begin to look old and weathered, homeowners may want to consider calling fencing services and having them add a coat of paint or restain them to bring them back to life. Fences that are stained or painted will not only look brand new again, but they will be protected from the elements and have a longer service life. The transformation that is possible with a simple coat of stain or paint may be surprising to a homeowner that has been staring at an unattractive fence for so long. 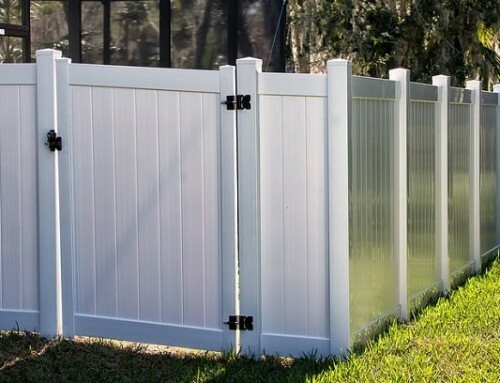 So instead of replacing ugly, old looking fencing that is still technically serviceable, give fences a makeover with a new coat of paint or stain! Need Fence Services In College Station TX? College Station Fencing Can Help With Fence Issues! Call Today At (979) 431-5013! The Do's and Dont's of Cleaning Wood Fences! By |2019-04-16T17:06:34-05:00August 1st, 2016|Fences in College Station Texas|Comments Off on Extreme Homeowner Makeovers – Fences!